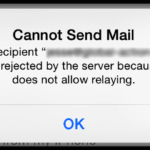 iOS devices, including iPhone, iPad and iPod touch may exhibit an issue in which the Mail app displays the message “Cannot Get Mail – The Connection to the Server Failed” when attempting to retrieve new messages, especially from Microsoft Exchange servers. Move all items from inbox to a different folder. 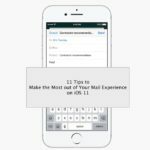 The most commonly successful fix for this issue is to move all items from the inbox into a temporary folder created on the server. It appears that problematic messages in the inbox can cause the error message. Upgrade Exchange Server. You may need to apply a service pack to the Exchange server to which your iPhone is connecting. Some users have reported that they need to install Exchange Server 2003 Service Pack 2 to eliminate this error. Change Exchange security settings. Some users have reported that they needed to turn on “Include inheritable permissions from this object’s parent” in the user’s security options in Active Directory. I have not veceived any mail in over 24 hours. Why? Hold the off button in until the the arrow SLIDE TO POWER OFF appears, then let go. Now hold the home button until the device lock screen appears. None of this helped and I still am getting the same cannot connect to server message……I’m so frustrated!! What is this INHERITED PERMISSIONS??? Where is this on iPad”??????????? Using yahoo I also had the “connection to server failed” on my iPad and IPhone. 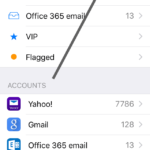 I went to Settings – Mail, Contacts, Calendars – Yahoo – Accounts which took me to Yahoo Account Information. I deleted my email and password and re-entered it and I got my mail. I did this on both my devices and my mail all came back. I hope it lasts. Hi I’m experiencing problems with my email on my iPhone. Every time I keep accessing my email a window pops up saying there is a connection to the server error. 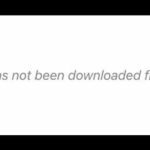 I’m still receiving them to my iPad and up until a week ago everything was fine on my iPhone. I’ve read the above and can’t make any sense of it all I only have 10 emails in my inbox so it can’t be due to over storage and I’ve also tried the hard reset and still no joy. Can anybody help please? Sonya thx soooo much. You definitely r Godsent. This message had plagued me for weeks until now. Bingo! Sonja you are a lifesaver! That worked for me…Thanks!!!! I had a PC before this and it didn’t give me the headache this is giving me. I don’t understand what the “inheritable permissions” is and I’m not stupid. It’s just that I just switched over to Apple and it is a new learning process. So at this point I can not get any of my emails from Hotmail that has switched their business over to outlook. Thank you, because of you I now know to make sure my laptop and iPhone password “agrees”. How Ironic it was when looking back I stopped receiving mail on my phone the same day that I had needed to reset my password. How embarrassing! I started receiving this error message on my iPhone after changing my yahoo mail password on my desktop. The phone didn’t recognize the change. 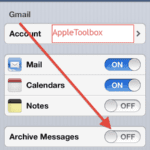 To change your password on your iPhone go to: Settings>Mail, Contacts, Calendar> Account>Password. Click on password and enter your new password. At this point, iPhone might prompt you to sign in to make this change. After you sign in, it should update your yahoo mail password and refresh your email messages. If it doesn’t, repeat the above steps. It took me a couple of tries but it is working now. Thank you all for your comments. You have helped me solve this error message which has been popping up for more than two weeks now. Thanks so much. This was the answer to my dilema. Excellent. That worked on my Apple Ipad when nothing else would. Cheers. Yay! Sonya, thanks so much. That fixed the problem. Thank you very much, your step by step instructions were very helpful. Everything is working now and no more message! Thank you Sonya! That was exactly my situation and your fix worked. Thanks again. Problem Solved! & I didn’t have to spend my lunch hour standing in Verizon! Thank You! Thanks Sonja …changed my password on laptop…forgot to do it on Ipad!!! DOH! Thank you! This is exactly what happened to me and I was completely frustrated until I read your post. Thank you!! Thanks! Worked for me too. What a lifesaver! Thank you Sonya, you’re a star ! And the only one who gave explanations I could actually understand …. Very explanatory!! Thanks. This worked for me!!! Turn off the cloud. Then go back into all of your mail accounts them reset the password .. Then apple mail should work .. It’s a cloud issue .. It changes your address to cloud.com Messes up everything. Funny apple techs couldnt even figure it out .. They get paid the bug bucks for nothing.. Thanks Apple !!! That worked for me! I was so frustrated trying to figure WTH was going on today! TY! I cannot get mail. It says check your settings. I do not know how. Same problem for me but its happening only on my yahoo account after I changed my yahoo password???? Any further help appreciated!!!!???? Hi, this worked like a charm when moving the emails to a new created folder. 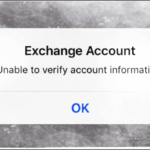 Very Simple .. just Change your password for your account on Exchange . Excellent. It was that simple. Thanks a lot!!!!!!! After I read it, I wanted to hit my head with a bat… DUH me!!!!! 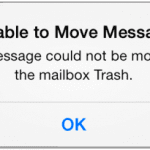 These “Cannot Get Mail” messages can also appearing when the limit or concurrent connections from an IP is reached. Do you know what the server “concurrent IP connections” limit is set at? The standard is 4 and may need to be increased by your administrator. Moving data to a temp folder cleared up the issue. Thank you for this post! The “inheritable permissions” worked like a charm. Where can I find “inheritable permissions”? Where do you find this on an IPad?